Traditional business models, cash flow management, pricing, delivery, customer service and organisational structures can no longer keep up. Companies are experiencing tough market conditions, struggling with the rapid pace of technology change, how to embrace cloud, digital, machine learning, Internet of Things (IoT) and big data/analytics. Similar to the industrial revolution in the 18th Century, we’re in the middle of a fundamental shift. The period of digital revolution. Traditional businesses are dead, every business needs to be or become a technology business. It doesn’t matter what industry, be it retail, agriculture, power, manufacturing, legal or even some IT companies. You need to adapt now or you will get left behind. The key to making this transition is understanding your customer touch points and understanding what needs and requirements they have on a regular basis. Understanding and defining what technology you need internally to run your business (with a view to scale, flexibility and automation) and what technology you need to serve your customer to best address the needs and requirements you’ve identified. Lastly and most importantly how does this all fit together to form the technology engine of you’re business. 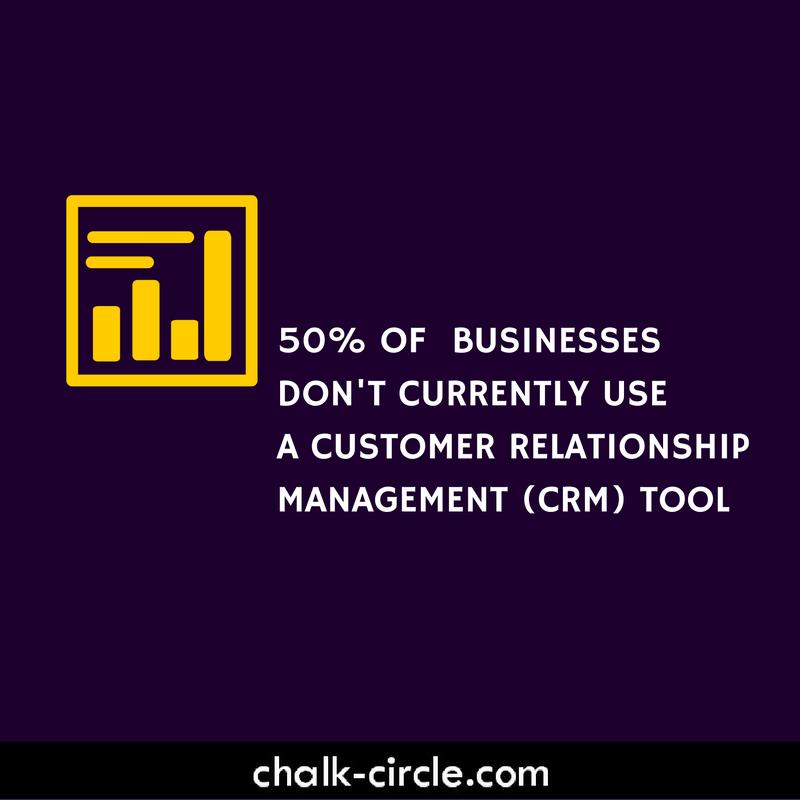 It needn’t be complicated for example 50% of businesses don’t use a Customer Relationship Management (CRM) system. 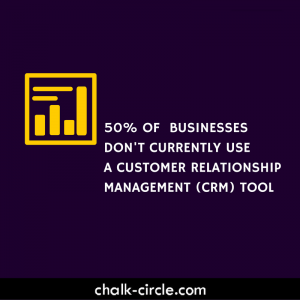 The right CRM can take on some of the automation work load and do a pretty good job of connecting everything else together. Even e-mail and the use of services like Zapier and IFTTT can provide an alternative to link things together while longer term solutions are defined. Capital allocation – Change in spending from capex to opex and the movement of funds from traditional distribution to technology, product innovation and digital engagement. Product Strategy – user focused needs and requirements capture, use of design and experience teams leading to internal design department creation. Go-To Market Strategy – stop selling everything and choosing a selection of key products to focus on. Work Habits and Tools – Change in tools, new forms of communication internally and externally, leading to new ways of working. Talent – expertise within the company must change faster than the rate of change the company desires, new compensation structures you might not be used to offering (shares, bonuses, flexible working). Instrumentation – Defining and understanding the metrics that matter in your business and having real-time visibility of them. I’m not going to cover them in detail but you can find out more on them and the original article that inspired this post here. Another way of pressing this home is that there is no IT budget anymore or even an IT department there is just budget. IT is your business and your priority is revenue, under investing in technology will mean a loss of revenue one way or another. The good thing with being ready is that not only does it mean that when the good times come you can take full advantage but that when the bad times come it enables you to get lean quickly, regroup, stabilise and go again when then next gold rush comes calling. Brexit is a hot topic in the UK at the moment. Are UK businesses Brexit Ready? Well they are way off being ready…but by taking the time to assess what position they are in now, building a technology foundation that enables the business to scale and accommodate growth, also provides the ability to shrink and downsize just as quickly. Once those foundations are in place the ability to provide automation and offer self service features increases the work that can be handled without direct increase in additional staff. Which means that in situations like Brexit, where trading conditions might worsen, there is less need to reduce staff and lose that knowledge and skill from the business altogether. Moving from a traditional business to a technology business is something that cannot be avoided, even those businesses that have started down this path already need to make sure “they’re not building on sand” and that they have a solid technology foundation to build on long term. We have a 7 step process we take all our customers through (known as the Circle7) which should give your business the ability to tackle pretty much anything….. or Chalk Circle Ready as we like to call it! Here’s a high level checklist to help your business be ready. Understand all your customer contact points. Identify the needs the customer wants met during those interactions. Understand how they want to interact and communicate with you, do they really want to do it themselves or do they want to speak to a person. Have face to face interviews, send surveys, ask meaningful and open questions. Would a Slack channel really work or is SMS the preferred format? We currently use a mixture depending on the client but most of the time we share a Trello board for the project. We’re also in the process of experimenting with ConvertKit to simplify our sign up and marketing automation. Once you know what your customers want you can then baseline your current offering, systems, process and infrastructure to see which bits you’re fulfilling, which bits you don’t do yet but can address with existing tools and technology and identify the gaps that need to be addressed. This will start to form the basis of a high level technology strategy. If this is something you need help with you can get in touch with us here. Once you’ve spoken to your customers and have a baseline of the current situation and state of the business, the next stage is to understand in detail how each part of the business needs to be able to meet the customer needs and the tools required to do it. This forms the basis of a detailed requirements specification that will enable you to assess and select new tools and technology to fill the gaps identified by the baseline or replace existing technology with enhanced solutions that interlink with other tools better. Focus on technology offering API access and avoid developing more than 20% of the solution as bespoke or tailored configurations. Hosted or managed solutions will reduce the overhead costs of infrastructure support and maintenance and provide scale and flexibility. Establishing flows will help streamline delivery of services, as well as translate into accurate and quicker configuration of tools, applications and technology. These may even start as manual flows (especially if coming from a traditional business basis). These flows will lead to and enable automation of repetitive tasks or work streams as well as the outsourcing of certain aspects to lower cost bases (e.g. use of virtual assistants, self-service portals, chat-bots, etc). Once you have your end to end flows you can start to apply metrics. What gets measured gets managed as the famous quote goes. Having these metrics available in a real-time dashboard and ideally transparent to your workforce will enable the business to become more in-tune with the customer. Understand how changes and experimentation can impact or improve the service being offered. How bottle necks and conversion rates can be addressed or improved and how well the company is doing in regards to new goals and targets the business wants to achieve. The output from the Assess phase should lead to the purchase of new tools and technology or changes to existing ones. These address the gaps identified in the baseline stage and deployment is the phase where these are introduced and the core of “digital transformation” is experienced. It’ important that these tools and technologies are rolled out with the business and not to it. For this to be a success it is important that staff are included in the selection process from the outset. A good way to do this is to create project or technology steering groups, establish champions within each part of the business that form part of the early adopter user base and can provide enhanced support to the rest of their colleagues during roll out (train the trainer, lunch and learns, drop in surgeries, etc). Testing the robustness of integrations and the interlinking of APIs is also important at this stage. It is very easy to create large chunks of technical debt by trying to rush new tools and technology into production and never having time in the future to re-visit and address them. Once you have the technology foundations you can start to really take advantage of being a technology based business. One of the key components of this is automation. Automation enables scale and growth. As you start automating back end processes you start to leverage economies of scale. Staff are freed up so they can spend more time with the customer. Delivery lead times can be reduced which in turn speeds up billing and payment. A lot of maintenance and testing tasks can be scripted (this is where DevOps and DevSecOps excel). Front end tasks can also be automated, which enables things like tailored personal marketing journeys, customer service chat bots and things like item return and delivery collection automation. Once all the above are established you have the freedom and resources to experiment and innovate. New tools and technology can be swapped in and out taking advantage of the modular and flexible infrastructure devised at the strategy stage. The use of metrics will enable you to see the performance impact of experiments and changes. New data analysis can lead to further customer and commercial insights. More work can be done with customers to capture their feedback and funnel this through to product and service development with release of new features or products. By establishing a technology based business with the right tools, processes and structure you too can be ready for anything. If you’d like to find out how ready you are or are interested in becoming Chalk Circle Ready we’d love to have a chat over coffee, you can get in touch with us here. Download the free checklist that accompanies this post and includes an extra chapter covering the Four Horseman of transformation (Customers, Growth, Data & Security). Wow, this is in every rescpet what I needed to know.